Her early years, however, were anything but glamorous. After her mother’s death, Chanel was put in an orphanage by her father who worked as a peddler. She was raised by nuns who taught her how to sew—a skill that would lead to her life’s work. Her nickname came from another occupation entirely. During her brief career as a singer, Chanel performed in clubs in Vichy and Moulins where she was called “Coco.” Some say that the name comes from one of the songs she used to sing, and Chanel herself said that it was a “shortened version of cocotte, the French word for ‘kept woman,” according to an article in The Atlantic. Around the age of 20, Chanel became involved with Etienne Balsan who offered to help her start a millinery business in Paris. She soon left him for one of his even wealthier friends, Arthur “Boy” Capel. Both men were instrumental in Chanel’s first fashion venture. Opening her first shop on Paris’s Rue Cambon in 1910, Chanel started out selling hats. She later added stores in Deauville and Biarritz and began making clothes. Her first taste of clothing success came from a dress she fashioned out of an old jersey on a chilly day. In response to the many people who asked about where she got the dress, she offered to make one for them. “My fortune is built on that old jersey that I’d put on because it was cold in Deauville,” she once told author Paul Morand. In the 1920s, Chanel took her thriving business to new heights. She launched her first perfume, Chanel No. 5, which was the first to feature a designer’s name. Perfume “is the unseen, unforgettable, ultimate accessory of fashion. . . . that heralds your arrival and prolongs your departure,” Chanel once explained. In 1925, she introduced the now legendary Chanel suit with collarless jacket and well-fitted skirt. Her designs were revolutionary for the time—borrowing elements of men’s wear and emphasizing comfort over the constraints of then-popular fashions. She helped women say good-bye to the days of corsets and other confining garments. Another 1920s revolutionary design was Chanel’s little black dress. She took a color once associated with mourning and showed just how chic it could be for eveningwear. In addition to fashion, Chanel was a popular figure in the Paris literary and artistic worlds. She designed costumes for the Ballets Russes and for Jean Cocteau’s play Orphée, and counted Cocteau and artist Pablo Picasso among her friends. For a time, Chanel had a relationship with composer Igor Stravinsky. The international economic depression of the 1930s had a negative impact on her company, but it was the outbreak of World War II that led Chanel to close her business. She fired her workers and shut down her shops. During the German occupation of France, Chanel got involved with a German military officer, Hans Gunther von Dincklage. She got special permission to stay in her apartment at the Hotel Ritz. After the war ended, Chanel was interrogated by her relationship with von Dincklage, but she was not charged as a collaborator. Some have wondered whether friend Winston Churchill worked behind the scenes on Chanel’s behalf. While not officially charged, Chanel suffered in the court of public opinion. Some still viewed her relationship with a Nazi officer as a betrayal of her country. Chanel left Paris, spending some years in Switzerland in a sort of exile. She also lived at her country house in Roquebrune for a time. At the age of 70, Chanel made a triumphant return to the fashion world. She first received scathing reviews from critics, but her feminine and easy-fitting designs soon won over shoppers around the world. 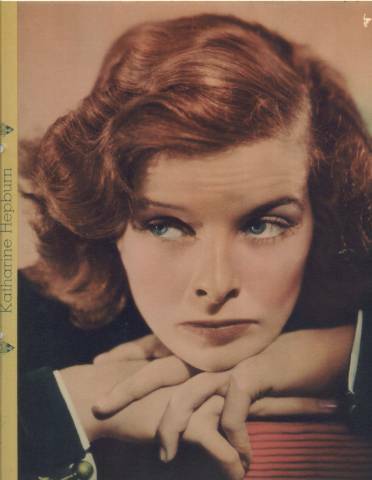 In 1969, Chanel’s fascinating life story became the basis for the Broadway musical Coco starring Katharine Hepburn as the legendary designer. Alan Jay Lerner wrote the book and lyrics for the show’s song while Andre Prévin composed the music. Cecil Beaton handled the set and costume design for the production. The show received seven Tony Award nominations, and Beaton won for Best Costume Design and René Auberjonois for Best Featured Actor. Coco Chanel died on January 10, 1971, at her apartment in the Hotel Ritz. She never married, having once said “I never wanted to weigh more heavily on a man than a bird.” Hundreds crowded together at the Church of the Madeleine to bid farewell to the fashion icon. In tribute, many of the mourners wore Chanel suits. A little more than a decade after her death, designer Karl Lagerfeld took the reins at her company to continue the Chanel legacy. Today her namesake company continues to thrive and is believed to generate hundreds of millions in sales each year. In addition to the longevity of her designs, Chanel’s life story continues to captivate people’s attention. There have been several biographies of the fashion revolutionary, including Chanel and Her World (2005) written by her friend Edmonde Charles-Roux.